1. Processing of examination application forms and issue of hall tickets to the students. 2. 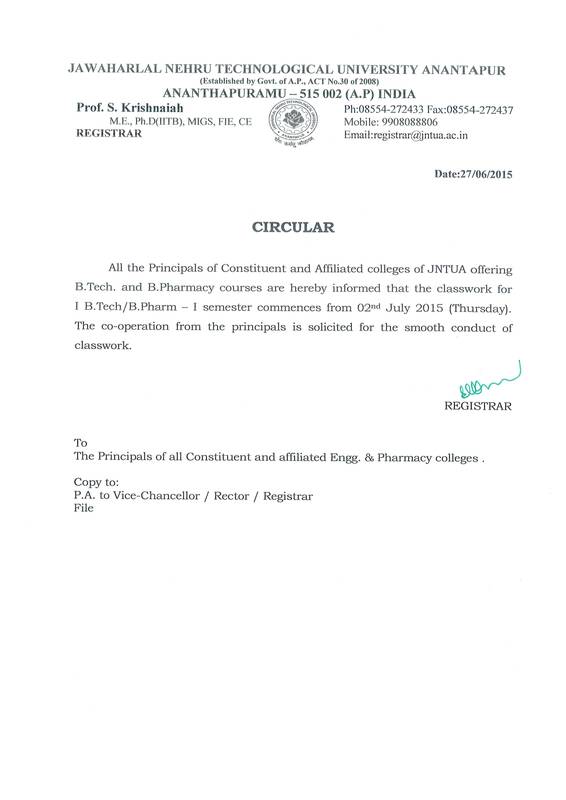 Electronic distribution of examination papers (EDEP) is introduced by JNTUA to all B. Tech courses. The examination branch looks after the works connected with EDEP examinations as directed by the university. 3. Online examination is also introduced by the JNTU, to all B. Tech courses for internal tests. This branch looks after the works connected with online examination. 5. The examination branch looks after the payment of remuneration to the examiners, receipts of examination fees, payment towards the stationary etc., purchased for the examination branch.